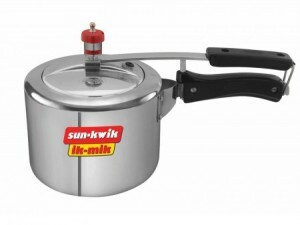 Pressure cooker is quite a popular utensil for any standard and modern kitchen. It is popular as it offers the benefit of faster cooking. When you are on the rush and running for your daily scheduled work it becomes difficult for you to cope up with elaborate cooking process. Pressure cooker helps you in that matter. But apart from that there are a few more benefits of pressure cooking. Taka a look. While cooking in a stove top cookware most of the nutrients get evaporated with time. But when you are consuming a food if you don’t get the nutrients then it all becomes useless. No matter how busy you are you should not compromise with your health and nutrition. 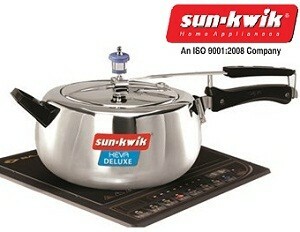 Pressure cooker keeps the nutrients in the food as the cooking occurs in the enclosed place. As the cooking takes place in an enclosed space it takes a little heat compared to that of stove top cooking. As a result you get to save enormous energy. As the food takes a very little time to heat up it also saves time of cooking also. As now you know about the benefits of pressure cooking, what are waiting for? Find the right pressure cooker and cook delicious dishes. Eat healthy and stay fit. 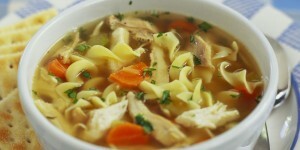 How To Cook Noodles With Chicken Soup In A Pressure Cooker? Who doesn’t love soups especially in winter? Cooking soup in the pressure cooker is easy and the texture of the soup becomes thick and mouthwatering. When you make any soup in a pressure cooker, you can get the exact flavour of all the ingredients. There is no doubt about the fact the pressure cooker is a vital kitchen appliance, and there are several pressure cooker manufacturers who are innovating different styles, different models over the time. There are quite a few pressure cooker models in the market, which are suitable for any family. Depending on the numbers of your family members, you should get a pressure cooker for easy recipes. You can buy pressure cooker online or you can visit the local store. You have to cook the noodles prior to the soup. Place the cooker on the gas, add butter to the pot, when the butter starts melting, add the chopped onion and stir occasionally, fry until it becomes soft and golden brown in colour. It’s going to take around 2-3 minutes. After the onion is fried, add the chopped carrots, celery, and saute for about 5-7 minutes stirring occasionally. After that, add the chicken cubes/pieces and stock. Close the lid of the pressure cooker, and cook for around 5 minutes in high flame. After cooking for five to seven minutes, release the pressure when the valve drops. Remove the lid of the pot carefully, add salt and grounded pepper according to taste. Add the noodles and serve hot.